Eniva's Corporate Leaders provide commitment, innovation and leadership to build a foundation of success for the entire Eniva Organization. In 1998, two young men with a deep passion for helping people, put in motion their vision of creating a global wellness community. Interestingly enough, they were identical twin brothers. Growing up in a small southeastern Minnesota town, their modest upbringing among four other siblings taught life lessons of service, sacrifice and hard work. Both brothers excelled in school, were co-captains of their swim team, shared first-chair of their band’s trumpet section, and were co-valedictorians. 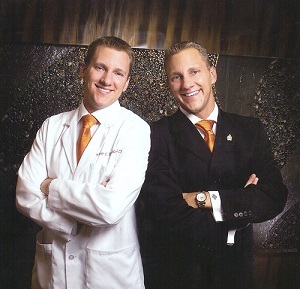 One brother went on to pursue a medical degree, while the other took an entrepreneurial interest in sales and marketing. Despite taking different paths, they soon reconnected after realizing their core talents could create a unique company dedicated to helping people find wellness. With a loan for $70,000 from friends and family, Eniva was launched. During his medical training, Dr. Ben had already seen the significant potential of nutritional and lifestyle choices for health outcomes. His research in the field of angiogenesis, as well as further educational experiences in complementary medicine at the North Hawaii Community Hospital and the University of Minnesota Center for Spirituality and Healing broadened his appreciation for complementary approaches to health. Nutrition remained at the core. A real watershed moment came when he was able to use his nutritional research to significantly impact the health of his own father. The incorporation of nutrients for other family and friends reinforced Dr. Ben’s belief in the potential for nutrition to be a significant component in overall wellbeing. Soon Eniva’s product line grew to more than 100 offerings, providing options for a wide range of health goals. Research and science remained the foundation of the product line, with quality and efficacy as essential underpinnings. Andrew’s passion for marketing and communication served as the counterbalance for their partnership. Under his management efforts, Eniva became one of the fastest growing privately owned companies in the state of Minnesota. The enterprise also ranked as the 55th fastest growing private U. S. company in the Health industry, as reported by Inc. magazine. Through the years Andrew helped open various international markets and was instrumental in creating awareness around Eniva’s dynamic product line. The brother’s driving mission has always been helping others find wellness and wellbeing. Since 1998, millions of people throughout the world have trusted, used and benefited from Eniva products. Helping others also includes serving those in need. When the 2004 Indonesian Tsunami hit, Eniva sent over enough VIBE to feed 30,000 homeless people. When Hurricane Katrina decimated the south, Eniva converted its bottling operations to water and sent down 10 semi loads of drinking water. Various orphanages, youth groups, health camps, schools and churches have benefited from the outreach efforts Dr. Ben and Andy directed. If you stop into Eniva, you’ll most likely see Dr. Ben in the Lab mixing up a new formula, or spearheading innovative research with his team. Serious about science, compassionate toward the people he helps. Down the hall you may find Andrew in a web design meeting or visiting with a new customer. Always spirited, he champions breakthroughs and celebrates the successes of others. The brothers see a bright future ahead. They know they can help impact the outcomes and costs people are now managing with their own healthcare. A medical doctor and teacher in the Twin Cities, Dr. Ben sees the natural synergy between traditional medical practices and complementary wellbeing strategies expanding greatly. Andy remains committed more than ever to empowering people through education and tools, helping them take responsibility for their own health. Twins have a special bond, a special connection. The brothers affectionately refer to their time together over the years “First we were womb-mates, then room-mates, now we are team-mates. Guess we were just meant to do great things together.” Great things, indeed. Mr. Baechler is a seasoned entrepreneur, leader and business owner. His professional experience is highlighted by twenty years at Eniva Health (Eniva USA, Inc.), from inception to present day. 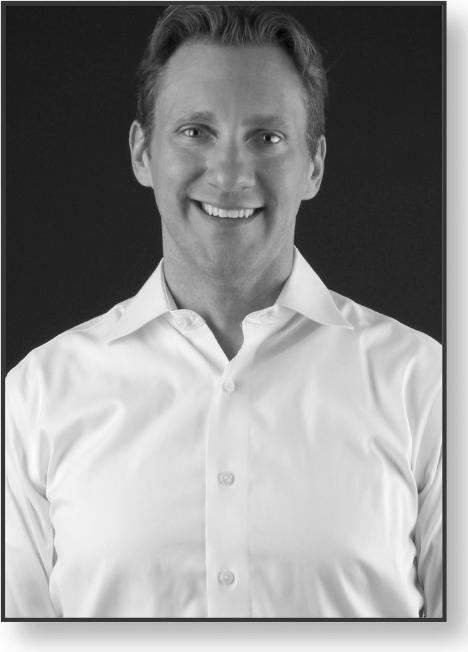 As a founder, owner and the current CEO of Eniva Health (Eniva USA, Inc.), Mr. Baechler has been instrumental in the establishment and growth of the company. Under his leadership, Eniva has achieved in-house R&D, manufacturing (FDA, USDA and CFR21 compliant, NSF GMP certified), sales and marketing capabilities with distribution of products in multiple markets and countries, accomplishing aggregate historical revenues in excess of $500 million. Eniva and it affiliates have received recognition within the private business sector and nutrapharma industry. In addition to his duties as CEO, Mr. Baechler also leads the company's Sales and Marketing initiatives. Mr. Baechler's educational background includes studies at the University of Wisconsin-Madison, a business degree from Riverland College and integrative health studies at the University of Minnesota. Mr. Baechler's community work extends locally, domestically and internationally, including works with The Alliance for Widows & Orphans, Hogar de Ninos Orphanage, Alexandria House for battered women, Mayo Clinic's Camp Jornada for children's cancer, 5-Fold Ministry in the Latin community, Second Harvest Heartland and others. Andrew resides in Medina, Minnesota with his wife, Raphaela. Dr. Baechler is a member of the American Academy of Family Medicine, the American Medical Association, the Minnesota Medical Association, the American Nutraceutical Association, and the American Holistic Medical Association. Dr. Baechler currently has served on the Board of the following professional organizations: University of Minnesota Center for Spirituality and Healing; Twin Cities Medical Society; Hennepin Medical Society; Corban Laboratories; Eniva Nutraceutics. Dr. Baechler’s medical certifications include: Diplomat for the American Board of Family Medicine; MN License for General Medicine; USMLE Steps I, II and III; Basic and Advanced Cardiac Life Support; and Advanced Life Support in Obstetrics. Dr. Baechler also holds an Associates Degree in Business Management, a Professional Certificate for Alternative and Complementary Medicine for Health Professionals, a Nutritional Certificate of Competency from the American Nutraceutical Association and a Professional Certificate of Completion for Good Manufacturing Practices in Dietary Supplements. Dr. Baechler has appeared on a variety of media broadcasts, including NBC and FOX television affiliates in Minneapolis and Las Vegas, with topics ranging from Cancer Health Awareness, Eating for the Heart, Obesity, Lower Back Pain, Alzheimer’s, Coping with Stress, Sports Concussions, Male Andropause, Sun Safety, and Depression. He has also been featured on the internationally broadcast “Natural Health Solutions” program of Trinity Broadcast Network (TBN), the KKMS "Wellness to the World" Radio series, and has been a regular health contributor/columnist for Sports Spectrum Magazine. Dr. Baechler received his medical training at the University of Minnesota Medical School with a focus on Family Medicine and Community Health. He received his undergraduate degree, with honors, in Immunology and Medical Microbiology from the University of Wisconsin-Madison, a leading research institution. Dr. Baechler's scientific and academic studies concentrated in the areas of nutrient delivery systems, antioxidants and angiogenesis. During his undergraduate education, he was a recipient of the Angiogenesis Foundation of America Research Fellowship, the Hilldale Foundation Research Fellowship and was on the Dean’s List. During Medical School, Dr. Baechler was President of the American Medical Association-MSS/UMN, was a Waise Scholarship Awardee, and received Clinical Rotation Honors. Dr. Baechler was also chosen as part of a special delegation from the University of Minnesota to spend time at the renowned North Hawaii Community Hospital, where progressive, complementary wellness and healing practices are integrated as part of total patient care. During his Residency, Dr. Baechler was chosen as an Outstanding Resident of the Month, and was nominated for Chief Resident by his peers. While at the University of MN, Dr. Baechler was a member of the Department of Family Medicine. He was also the Assistant Professor and Director of Inpatient Medical Services at the University. Dr. Baechler played a strategic role in the transitioning of the Family Medicine inpatient hospital service to a new campus and hospital. He also implemented a new standardized Patient and Family Centered Rounding format. He oversaw medical student and resident physician education programs and course reviews, as well as fellow staff physicians with regard to inpatient service work. He has devoted time to a number of associated University committees, including the Patient and Family Centered Care Work Group, the Innovations Team Work Group, and the Transitional Work Group. Dr. Baechler has also taught at the College of Pharmacy. Throughout his career, Dr. Baechler has continued his education in the areas of Sports Medicine, Obstetrics, Advanced Life Support, Family Medicine, and Motivational Interviewing. Dr. Baechler has formulated more than 100 nutraceutical and body support products, many strategically designed to address the issues of anti-aging, healthy cellular replication and heart health. He has held a variety of positions at Eniva Nutraceutics and ImmunoNutrient Labs, including Senior Vice President, Vice President of Operations, and Director of Nutritional and Laboratory Services. He is currently serving as Vice Chairman and Chief Medical Officer, as well a Board Member. One of Dr. Baechler’s most significant scientific accomplishments is his participation in the research of an Investigational New Drug (IND) which is currently pending approval by the FDA. In 2015, Dr. Baechler was chosen as one of MSP Communication’s top “Super Doctors” in the Minneapolis – St Paul area. This designation is given to outstanding physicians who have attained a high degree of professional achievement, credentials, honors, clinical contributions, and peer recognition. Dr. Baechler has volunteered for the UMN Medical School Anatomy Memorial Committee, the Hennepin and Ramsey Medical Societies, Minnesota Care, the Hmong St. Paul Chamber of Commerce, and through various Eniva outreach activities, including post-Tsunami rescue efforts,; Hurricane Katrina relief work, Home of the Child Orphanage, and Camp Jornada Children with Cancer. Dr. Baechler and his wife, Courtney, are the parents of two children, and reside in Edina, MN.